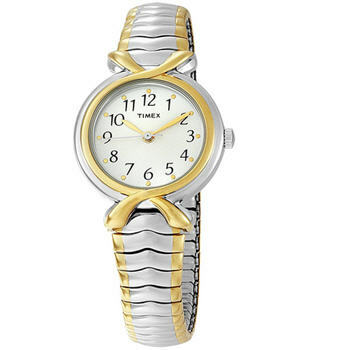 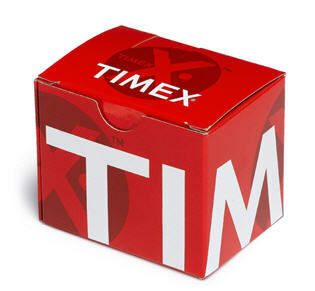 Add an artful touch to any ensemble with the Timex T21854 two-tone stainless steel women's watch. 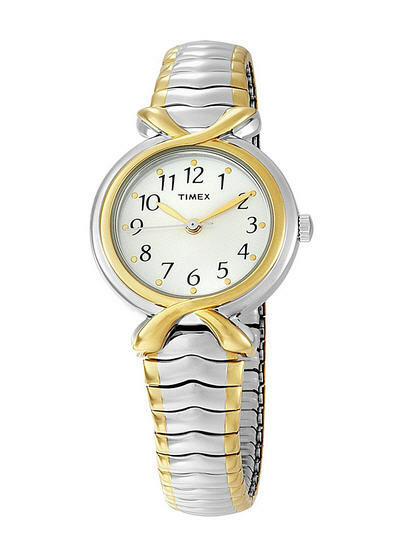 It has a perfectly round silver watch case with a thin, gold-tone interior bezel that ties seamlessly into the stainless steel expansion band that features a mix of silver and gold tones. 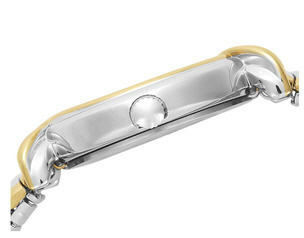 It features a silvery white dial background that's accented by full Arabic numeral markings and gold-tone baton hands (with seconds hand). 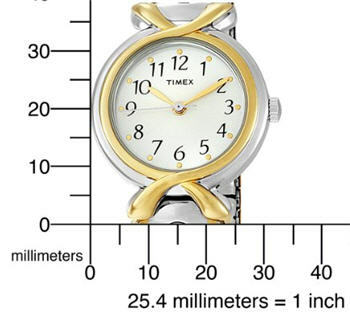 This watch is also water resistant to 30 meters (100 feet).